Arrrghh Matey! Walk the plank laddy, or I'll poke ya with me peg leg. 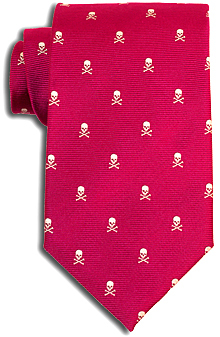 (Needless to say, this tie goes mighty well with an eye-patch.) 100% woven silk. Handmade.